We understand the need for modern interior decorators, designers and architects to produce distinctive, original and unique work. 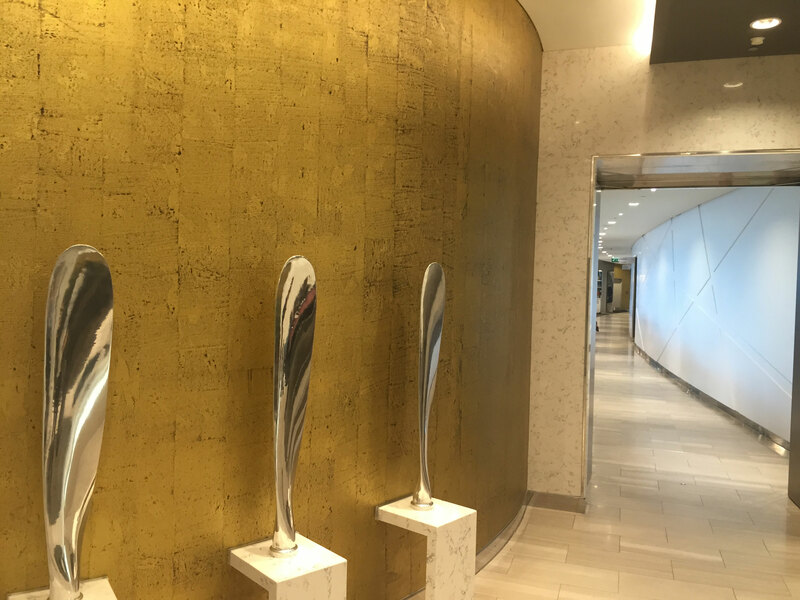 Our staff is able to take your ideas, combine it with our creative and manufacturing experience, and produce truly unique wall coverings. When creating truly unique work, having access to a wide variety of techniques and instruments is critical. Over the course of being in business, Omni has built a truly diverse library of manufacturing tools. We have over 200 embossing rolls, some of which are over 75 years old. We have two machines that can laminate and emboss inline and three machines that can emboss. We take the time to plan and build a project, experiment with various orders of operations, colors and techniques, and finally deliver to you, a custom-tailored product that will truly make even the most discerning end customer proud of the look that you have helped them achieve. 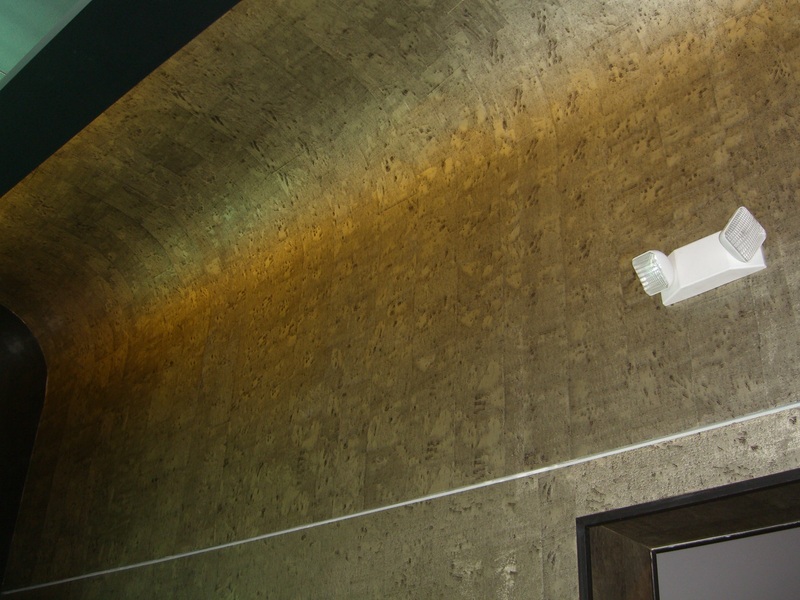 Metalworks cork laminate surfaces can reflect light in surprising ways, leading to a refractory effect shown here. 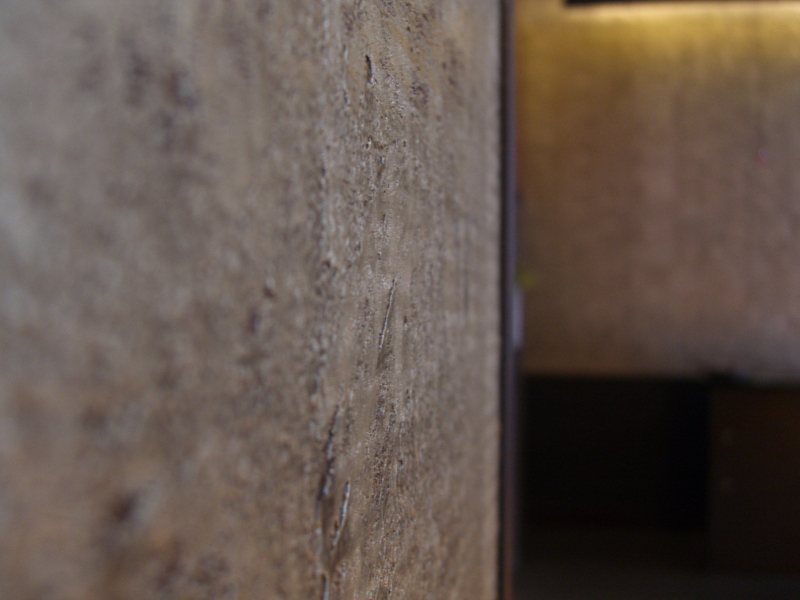 Dotted texture on a textured wall covering, available on request. 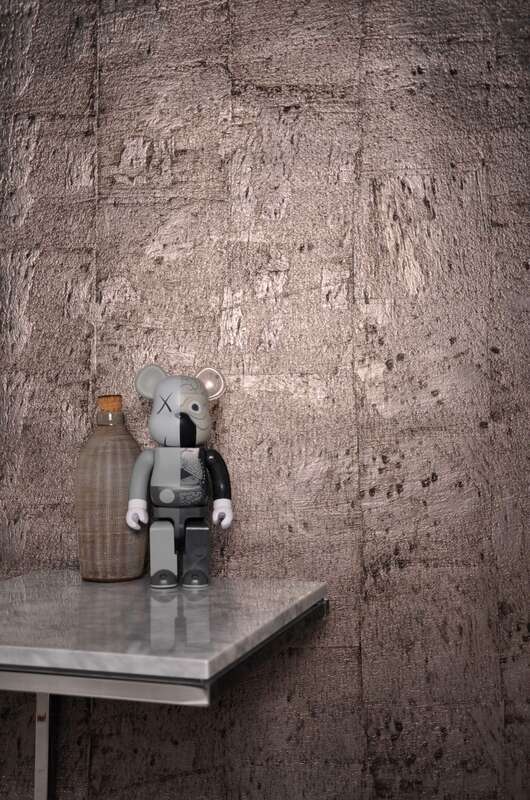 This cork wall has a dynamic texture that sparks interest and wonder. 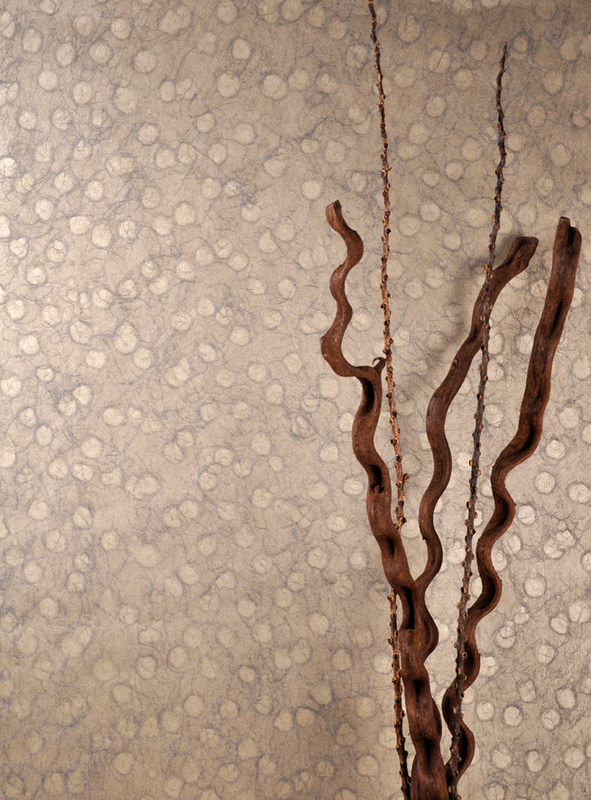 Wall coverings conform to any corner or curve of your walls. Be sure to match the ceiling. 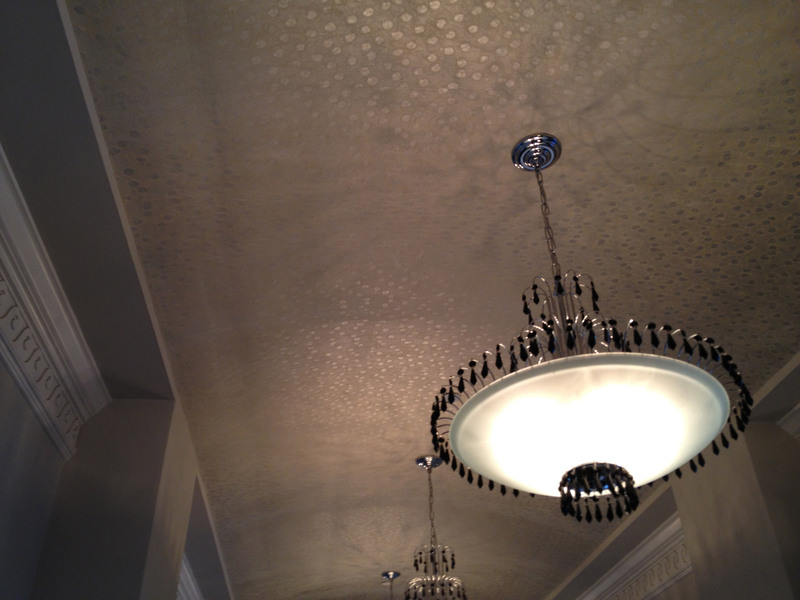 Any coating can be used for ceilings, and look great when compared with our walls. Cork texture can either be left textured or be made flat. The natural hue is earthen, more suited to offices or studies.